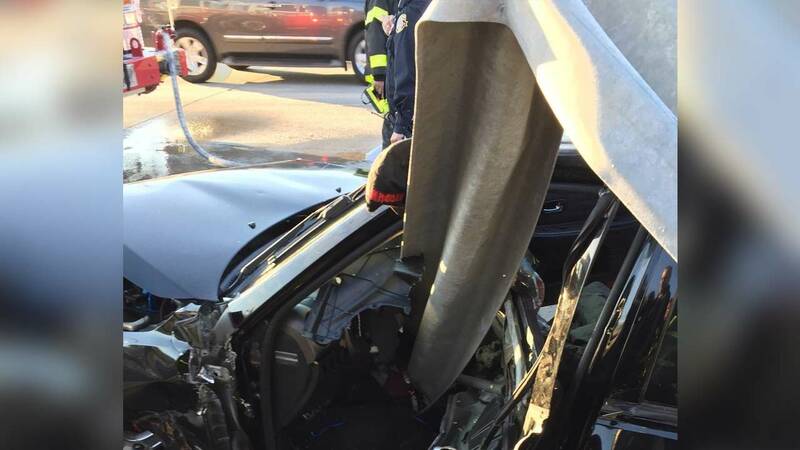 CASTLETON CORNERS, Staten Island (WABC) -- A driver had to be cut out of a car after crashing through a guardrail on Staten Island, with a large chunk of metal embedded in the vehicle. Officials said the driver was trapped when the car, westbound on the Staten Island Expressway, sliced into the guardrail just after 8 a.m. Monday. A piece of the guardrail became embedded in the drivers seat, pinning the driver. The driver was rescued by firefighters and rushed to Staten Island University Hospital North in critical condition.